How much should you be paying to build your website? The absolutely most frequent question that we always receive from business owners is “how much does a website cost?” Or, “how much will it cost to build our website?”. And rightfully so, it’s important to know the formula that goes into computing that number. There is no one-size-fits-all “package” that can possibly encompass every different business’ or brand’s requirements. And if you come across any designer or developer that offers those kinds of “5 pages for $500” or “10 pages for $1000” packages –– run. Your specific needs, requirements, goals and objectives will vary from any other brand out there, and it’s important that whatever amount you invest financially in the website, set the tone for your desired financial outcome from the website. Special guest, and marketing funnel builder guru Mike Killen from Sell Your Service in the UK, answers the big website pricing question, how to budget and properly afford the right website, and talks a bit about his journey from website designer in his agency to building marketing funnels upwards of $10K. If you want to know how to properly create a starter marketing strategy for your business or marketing project, download our FREE 10 question strategy builder workbook below. 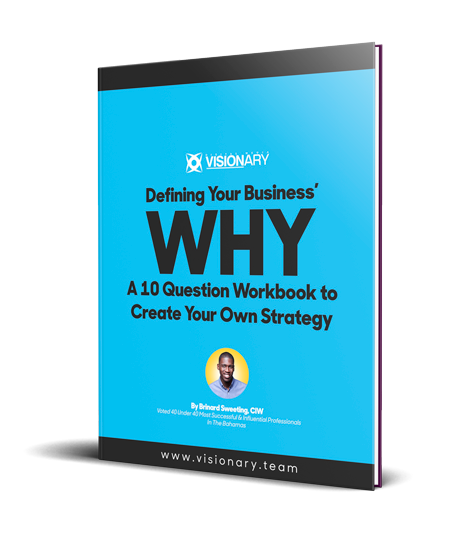 Download your free copy of the 10 question strategy builder workbook now! Your information is secure and will not be shared. I understand that I will be added to a mailing list where I will receive digital resources and tips and promotion offers from Digital Media Visionary. Brinard Sweeting is the Digital Director of Visionary, certified web design specialist and a digital positioning strategy connoisseur. The majority of Brinard’s experience as a web & mobile application developer comes from his previous and current work with local & international clients who require a web expert with steady focus to implement and provide top-notch work and effective solutions to solve their day-to-day business needs that relate to having a greater internet presence. © Digital Media Visionary Ltd.